Foodista | 5 Foods You Thought Were Vegan But Aren’t! 1. Non-Dairy Creamer Much like fat-free half and half, non-dairy creamer like liquid or powdered Coffee-mate, seems to be a concoction of high fructose corn syrup and soy products and flavoring, so what is lurking in its creamy white depths? The whitening agent, sodium caseinate. While the FDA does not consider sodium caseinate to be a dairy product, it is still a highly processed milk derivative and thus finds a happy home on our Vegan No-Fly list. 2. 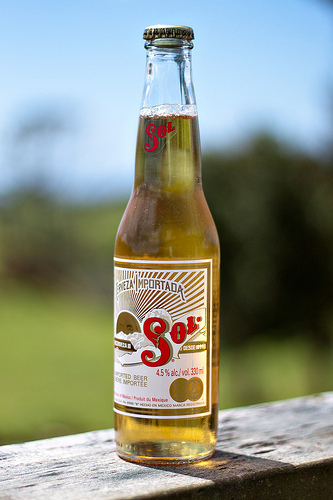 Beer Finings, used to clarify beer, can be a wide variety of different agents, from silicon dioxide and Irish Moss (both vegan options) to isinglass - the most common fining agent - which is derived from the swim bladders of fish. Yum? 3. 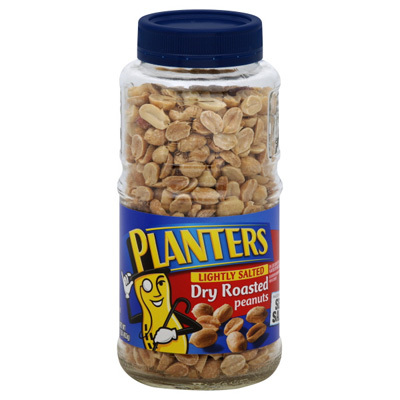 Dry-Roasted Peanuts Specifically Planter’s brand, contain gelatin to help the coating stick. 4. Marshmallows, Jell-O, Gummy Bears (and Peeps) While the idea of a vegan chowing down on gummy bears or marshmallow Peeps seems like it would be funny, it’s something you will probably never see. Why? 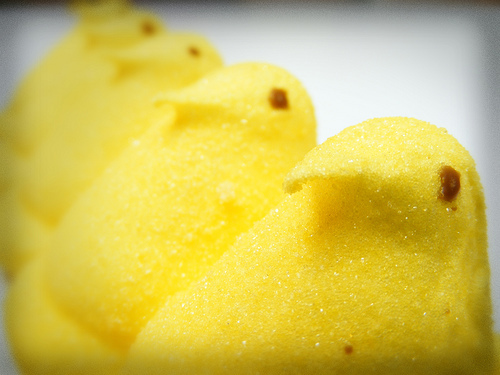 Well in addition to the general discomfort of eating an animal-shaped candy, they contain gelatin. Common to all three of these foods, gelatin is essentially hydrolyzed collagen - aka connective tissue - derived from animal parts like skin and bones. Other weird places gelatin shows up? Low-fat yogurt, pudding, chewing gum, jellies and jams, cream cheese and sour cream. 5. Honey While this may seem like a no-brainer for established vegans, this tends to surprise almost everyone else. While the production of honey does not include any meat, dairy or derivatives therein, honey itself is an animal by-product like milk. You may be thinking, “But bees aren’t cows! They’re insects!” Yes and no. 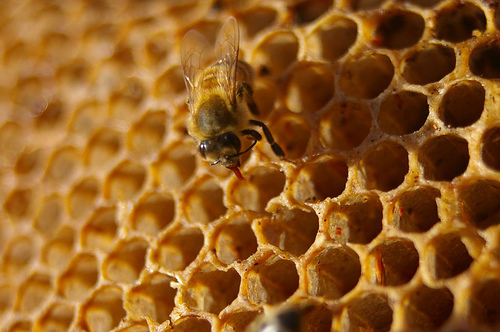 Bees are in the same phylum as crustaceans (crabs, lobsters, shrimp) and even though they are not necessarily laying down their lives for honey production, they are certainly being exploited.